Has Anyone Seen Buster Kitten? 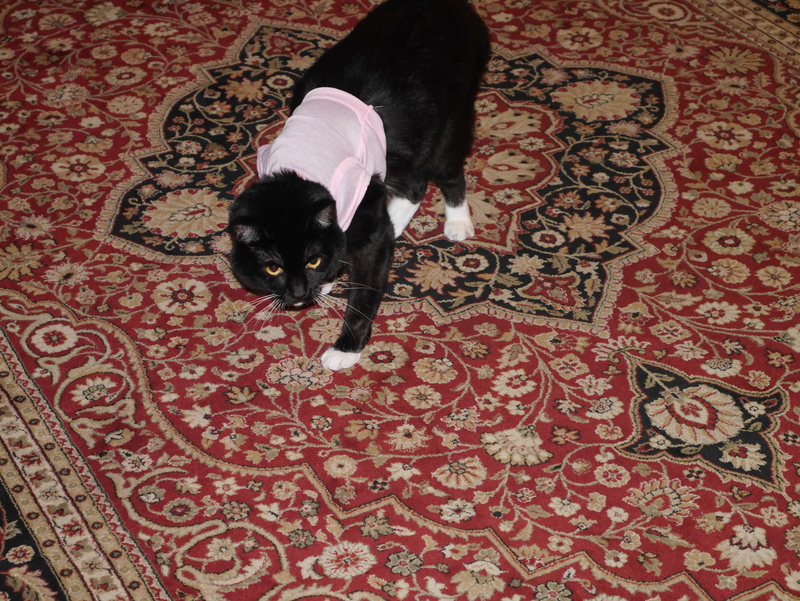 For some reason, my daughter thought it would be cute to dress up the cat. 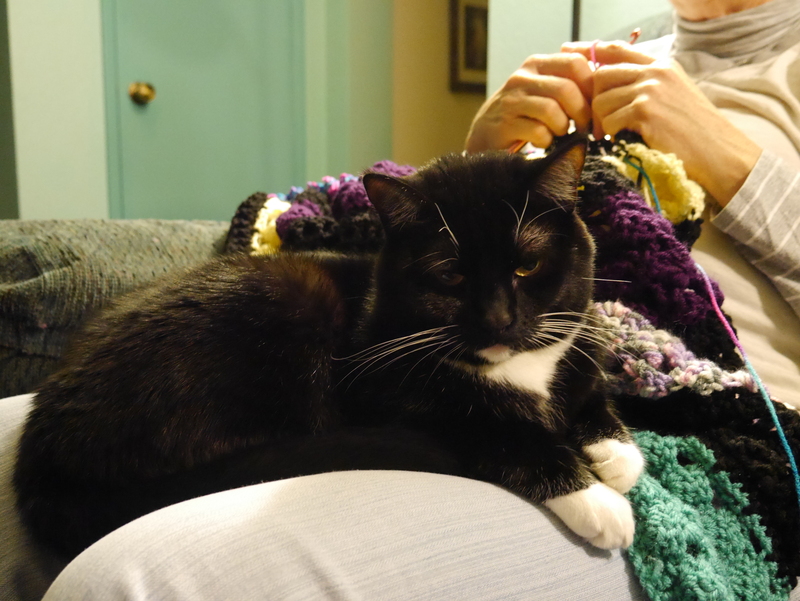 She wanted me to knit or crochet an outfit for the cat. I refused. A trip to the discount store, yesterday, revealed a sale on dog shirts for one dollar. I got her one for the cat complete with rhinestone hearts on the front. Take a good look as you can be sure it is the last time this cat will ever put up with any kind of ensemble of any kind. If looks could kill, I’m pretty sure my daughter would have been deposited on the doorstep like a dead gopher. The cat likes her red collar with the rhinestones. She does not like the shirt. I’m not really a ‘cat’ person but, obviously, Marcella is pretty sure she is a ‘people’ cat. She had a very strict schedule about where she is and what she should be doing every minute of the day. This is not a difficult schedule to maintain as napping takes up 85% of her day. There is, of course, the decision of where to nap but she has managed that hurdle since kittenhood. Every evening, I get an an hour of crocheting, if I’m lucky! Marcella starts off on the carpet just watching me. Eventually, she saunters over and perches on the arm of the sofa. She will then stretch and one of her paws will ‘accidentally’ fall near by crocheting. Another yawn and sniff and she soon has both paws on my lap with her rump still perched on the arm of the sofa. Her final, step, as you can see is a comfortable place on my lap. When my husband snapped the picture, she only opened her eyes long enough to give him a look that said, “Don’t even think of moving me!” Having had previous encounters with a peeved Marcella, my husband meekly put some distance between them.